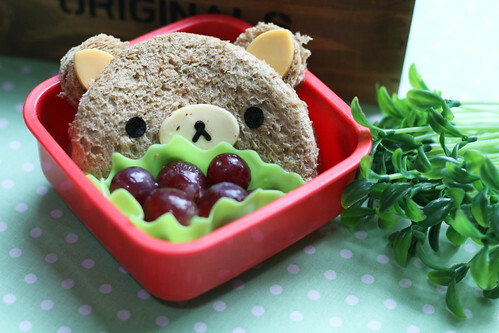 It's Rilakkuma for their bentos today. Side for the lunch was menchi katsu and vegetable potato salad. 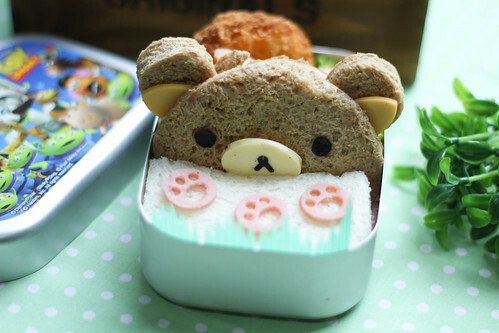 this is one of the favorite bentos i've ever seen! Can you share how you put the lid on for sending? 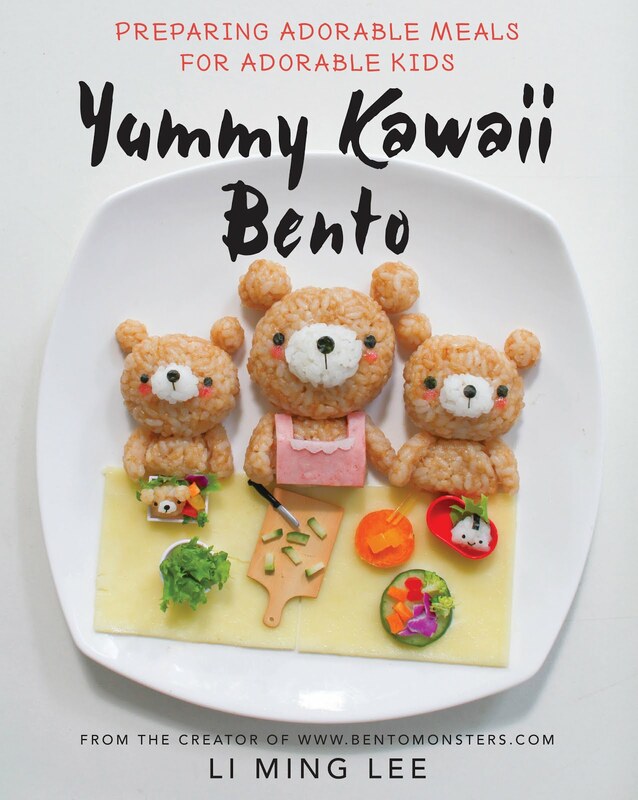 @wyowoman, I can't coz I usually don't bother to make sure the lid can fit for lunch bentos. 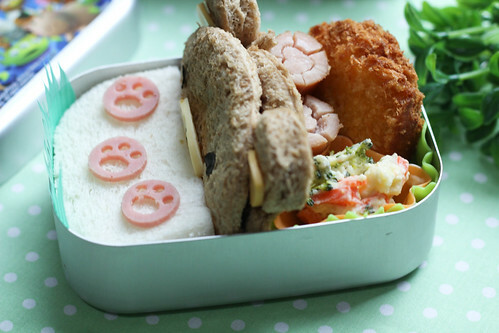 My boys take the lunch bento at home, it's the snack bento that they bring to school. 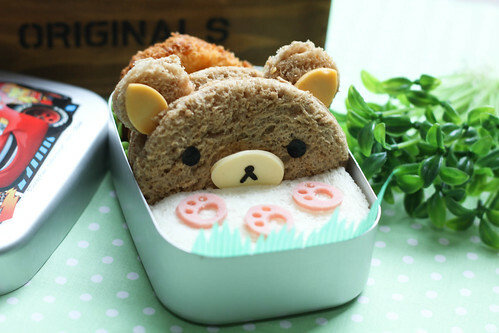 ( the last one in the pic) Maybe if you want to close, u can take out Rilakkuma out n arrange him on top of all the food. ohh, I see! thank you - that was puzzling me, but it didn't occur to me they were eating at home.